Come take a bite out of the Big Apple! For art, fashion, theater, shopping and everything that’s fun and fascinating, New York City is the American metropolis. In four New York Vacation Packages, California Tours channels the bustling energy of the “City That Never Sleeps,” and serves it up just the way you like it. You’ll have 72 hours’ access to this top U.S. destination to explore uptown, downtown, and all around, day and night. Downtown Manhattan’s skyscraper canyons reveal the Empire State Building, Central Park, and Times Square. Cruise the harbor and see the Statue of Liberty, then relax into Manhattan’s sparkling lights at night. New York’s art and natural history museums house world-renowned collections worth poring over for days. You can tour at your own pace, and whatever your heart desires, whether it’s a trip to hip Brooklyn, or a complete menu of award-winning dining and Broadway shows, you can have it all! If New York City is your main course, then three of the four New York Vacation Packages offer a second course at nearby East Coast destinations of note, each offering a taste of U.S. history and more. 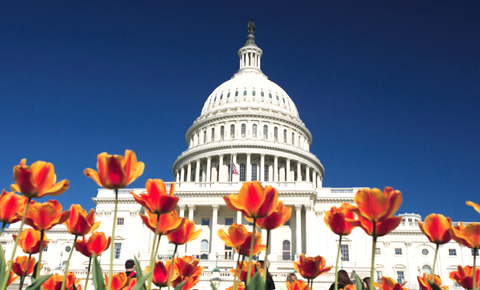 Combine your New York holiday with a trip to Washington D.C. – and visit national monuments such as the Lincoln Memorial, tour the Smithsonian Museum, cruise the Potomac River, and explore Old Town Alexandria. 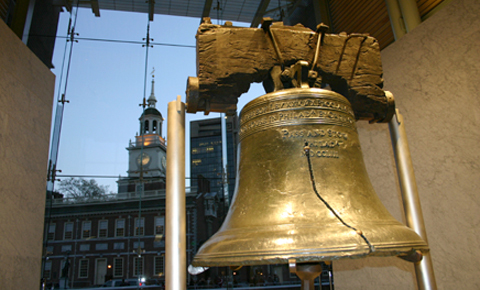 Or, head to Amish Country and Philadelphia – where you’ll experience the Liberty Bell, the great Philadelphia Museum of Art, and Pennsylvania’s rural Amish country, home to the Pennsylvania Dutch who have purposefully lived for centuries without modern technology. 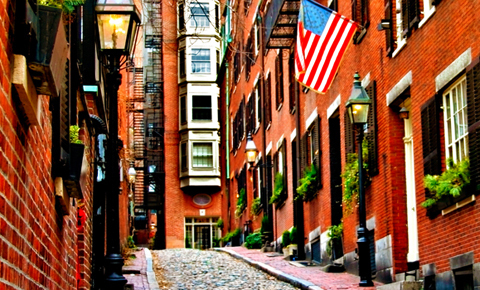 Get to know beautiful Boston, one of the oldest cities in the U.S., by taking the Boston Freedom Trail, a 2.5-mile historic path through downtown Boston, walking Boston Common, the city’s central park, and more. 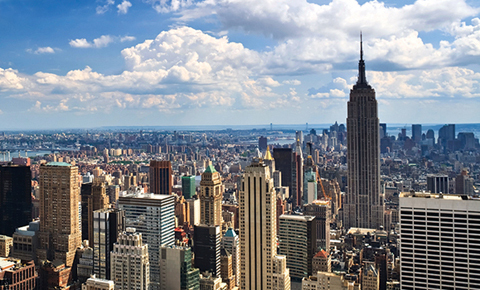 Our four New York Vacation Packages, below, start in New York City. Three packages move along to your choice of Washington D.C.; Amish Country and Philadelphia; and Boston and Washington, D.C. Depending on the package you choose, your vacation will last from five to eight days. The itineraries are flexible and can be extended or further customized to suit your needs. For each vacation, you may choose from the Classic Package, offering a carefully-planned, comfortable, and comprehensive experience, or a Deluxe Package, with additional options and upgrades. New York, Boston & Washington,D.C.